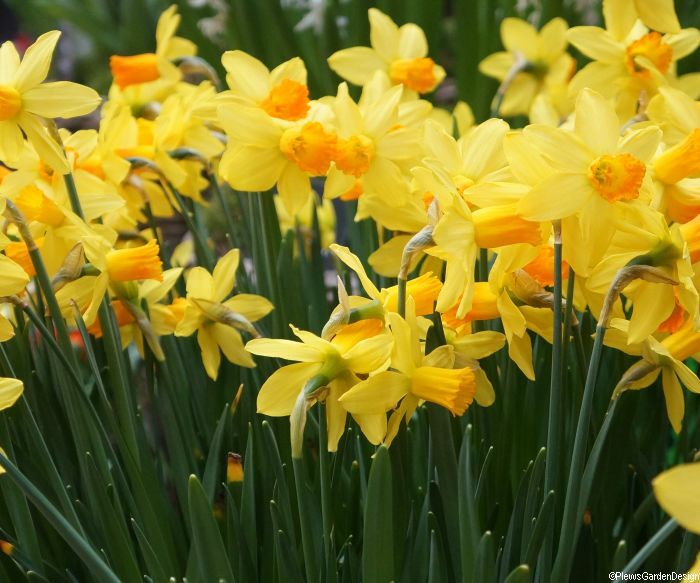 Although it is possible to have bulbous plants flowering in your garden nearly all year, most of us in the UK and USA treat spring as the most important season for a flowering bulb display. Although they flower in the spring, these bulbs need to be planted in the autumn; so now is the time to be planning and purchasing your spring flowering bulbs. At Plews we don’t generally plant too many bulbs at one go. Planting hundreds in one day is a chore we leave to those who have park displays to organise. However, we do offer bulb planning and planting as part of our service to regular clients, as well as part of an overall garden or planting design. Designing and planting containers whether for seasonal variation or for a special occasion is one of those tasks which is pleasant to add into a regular maintenance schedule. “Take the time to plan before you buy. Some questions you may like to ask yourself: are you planting in borders, containers, naturalising in grass? How many containers and how big are they? If in the borders, let’s be practical, consider how many bulbs you have the time to plant. 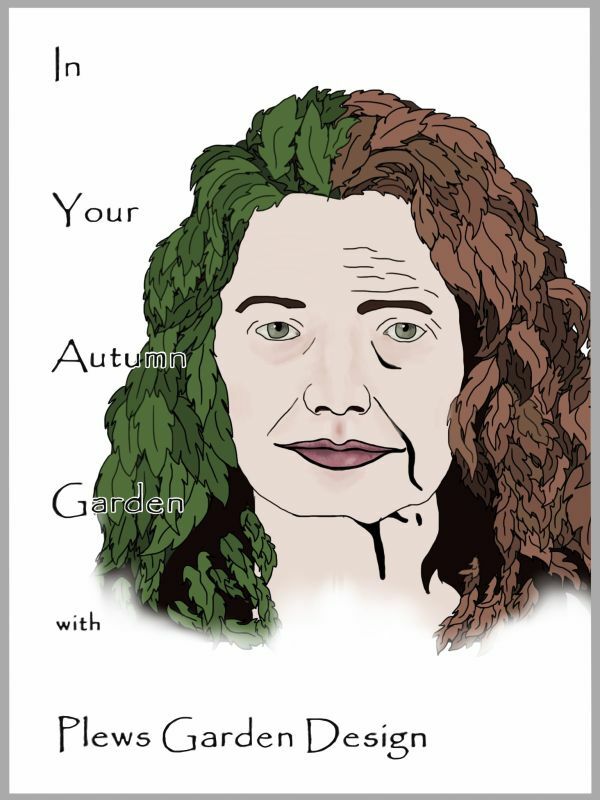 Oh yes, and is there currently room in the border where you’d like to plant or do you still have late flowering Helenium and dahlias in full bloom? 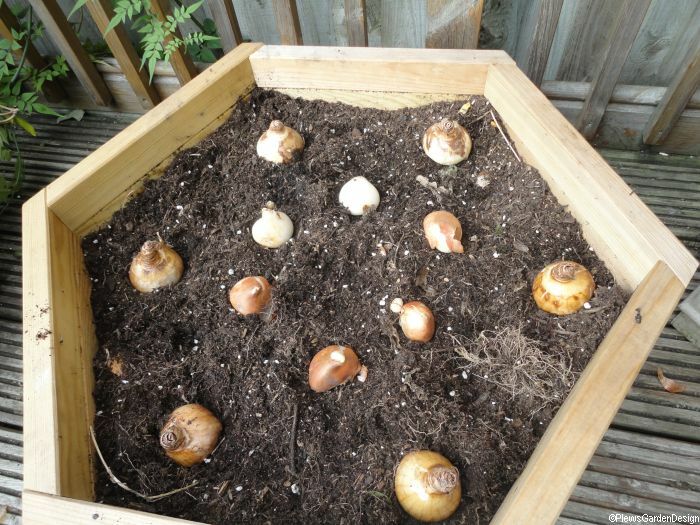 As for planting, the rule of thumb is to plant bulbs about three times as deep as the diameter of the bulb. This could be time consuming if you’re going to measure each one! The rough guide we use at Plews is that for larger bulbs, for example, Tulip, Daffodil and Hyacinth, we make a hole about 6-8” or 15-20cm deep. For smaller bulbs, for example, Crocus, Muscari, Bluebell, we make the hole about 4-5” or 10-12cm deep. 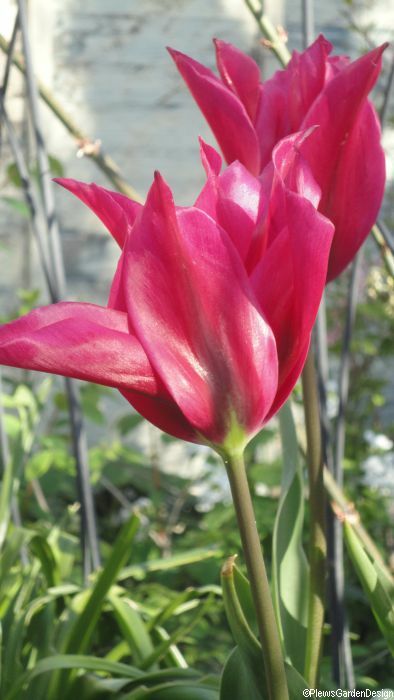 Bright red Tulip ‘Red Riding Hood’ has variegated foliage so extends the interest beyond flowering time; looks good in pots and borders. 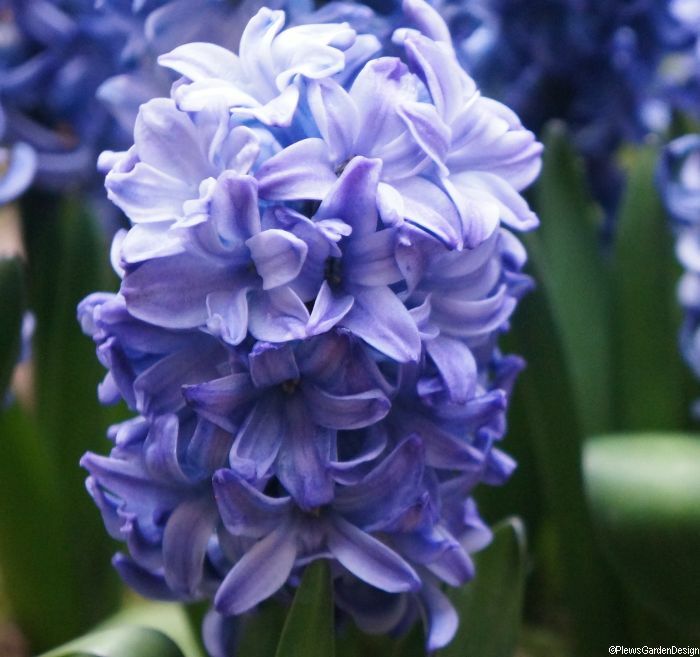 Hyacinth ‘delft blue’ has the added pleasure of a delicate scent; plant it near a door so you can enjoy the perfume. Remember to protect your bulbs once planted, so the squirrels don’t dig them up. If you’re planting in pots, we’ve found that adding shallow rooted winter bedding over the top of the spring bulbs generally works. 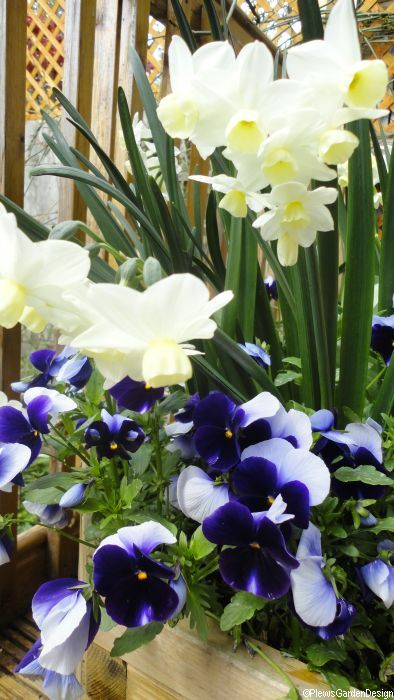 The flowers in your winter display should keep going until your spring bulbs flower; how organised is that!